Are you ready to find out exactly what dental implants can do for your smile? Tooth loss doesn’t have to define you and it doesn’t just have to be something you put up with. You deserve to have a healthy smile again and our Kalamazoo, MI, dentist, Dr. Mark Richardson, is here to make that possible. Find out more about dental implants and whether this is the best option for you. 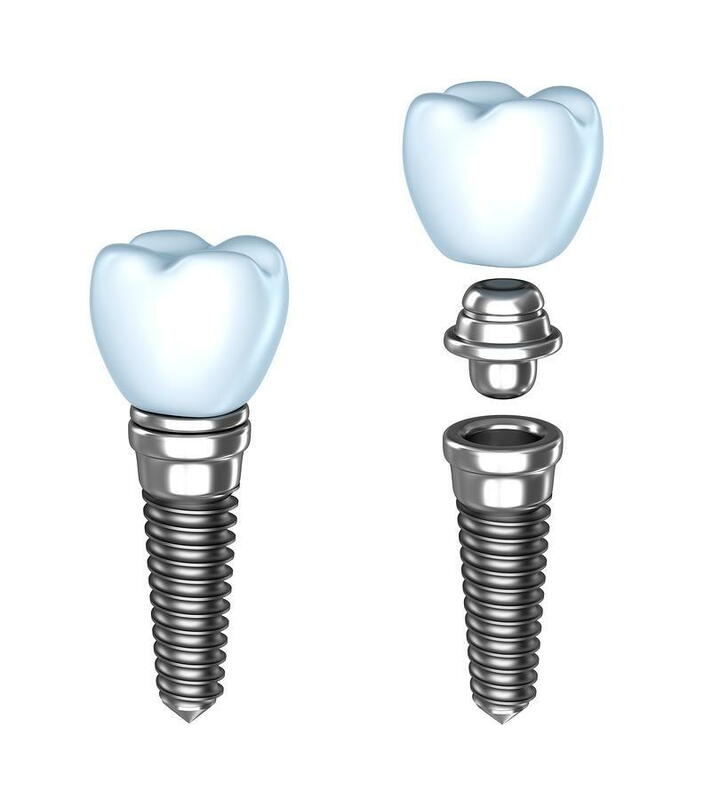 A dental implant is often the best tooth replacement restoration because it actually mirrors a real tooth. While nothing is as good as maintaining your beautiful natural smile, getting dental implants in Kalamazoo can certainly come close. This is because the implant actually acts like tooth roots. It is placed into the jawbone, so it’s meant to function like a real tooth. You’ll get a full smile back. This restoration is made to look just like a real tooth and no one will be able to pick out the dental implant from the rest of your natural teeth. The only person who will know that you have an artificial tooth is you. You’ll regain confidence again. You’ll not only stop feeling self-conscious about smiling but you’ll also feel great about your appearance once again when you know you have a full smile to show off. Chewing and speaking are two important components of everyday life that can be restored with implants. You don’t have to deal with tooth loss very long to discover that it can take a toll on your ability to speak properly, as well as how easy it is to chew food. Tooth loss can also make it impossible to get the proper nutrients you need since you may avoid certain hard-to-eat foods. With a dental implant that functions like a real tooth, you won't have to worry about that at all. Once you lose one or more teeth, the jawbone is no longer getting sufficient stimulation it needs from the tooth roots to remain healthy. This leads to bone deterioration and weakness. By getting dental implants as soon as possible, you can prevent serious jawbone loss. Are you ready to find out if you are the perfect candidate for dental implants? If so, the next step is to call Dr. Mark Richardson in Kalamazoo, MI, to schedule your consultation. Let’s talk about dental implants!